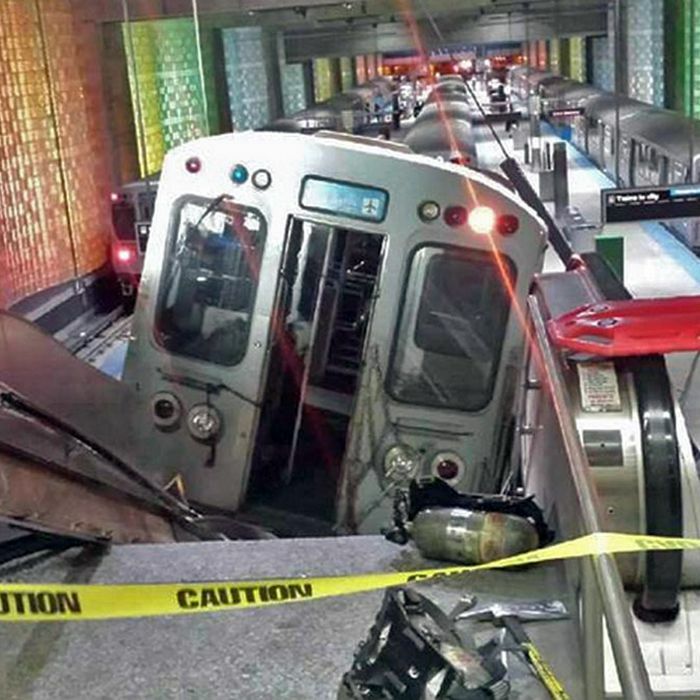 Thirty-two people were injured, none seriously, according to early reports, when a Chicago Transit Authority train derailed today at O’Hare International Airport. “The train actually climbed over the last stop, jumped up on the sidewalk, and then went up the stairs and escalators,” said Fire Department Commissioner Jose Santiago. In a stroke of amazing early-morning luck, no one was on the stairs or escalator at the time.